WHICH BOND is your FAVORITE? The Bonds are dressed in classic 007 dinner suits designed by Oscar winning costume designer Lindy Hemming, based on the original costume. The exhibition coincides with the forthcoming release of SPECTRE, the latest in the James Bond series, due to hit British cinema screens on October 26. SPECTRE will begin its rollout in North America and South America on 6 November. Lazenby, Moore and Connery recreate different variations of a classic Bond pose – arms folded and pistol held aloft, Craig, Brosnan and Dalton are shown in more relaxed poses. You can meet all the Bonds through November 30, 2015 in London. After that they take off for a world wide tour – check to see your local dates. Visiting London, Snag tickets to the tune of $35 at the official website. A cryptic message from the past sends James Bond on a rogue mission to Mexico City and eventually Rome, where he meets Lucia Sciarra (Monica Bellucci), the beautiful and forbidden widow of an infamous criminal. Bond infiltrates a secret meeting and uncovers the existence of the sinister organization known as Spectre. Meanwhile back in London, Max Denbigh (Andrew Scott), the new head of the Centre for National Security, questions Bond’s actions and challenges the relevance of MI6, led by M (Ralph Fiennes). Bond covertly enlists Moneypenny (Naomie Harris) and Q (Ben Whishaw) to help him seek out Madeleine Swann (Léa Seydoux), the daughter of his old nemesis Mr. White (Jesper Christensen), who may hold the clue to untangling the web of Spectre. As the daughter of an assassin, she understands Bond in a way most others cannot. AN ASTON MARTIN DB10 from SPECTRE one of only ten in the world. Behind the Scenes of SPECTRE, curated by photographer Rankin, published on October 27. 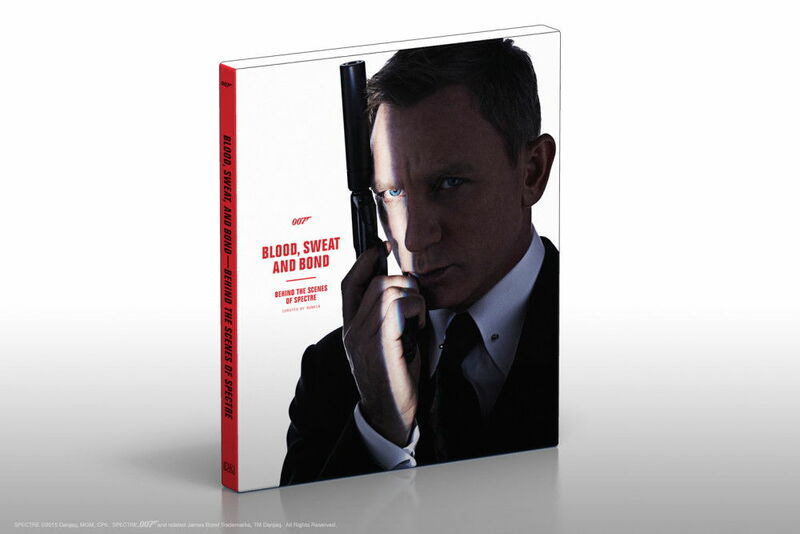 The book showcases the actors, locations, stunts, film sets and special effects of SPECTRE.